"The Answer [Improv]" by Cornflower. "The Answer [Improv]" is from the live release, "The Answer Lies Within [Live]" performed & recorded on 2/22/2016 during the eighth in an ongoing series of Full Moon Live Stream Concerts by Cornflower from TONEHOME Studios. 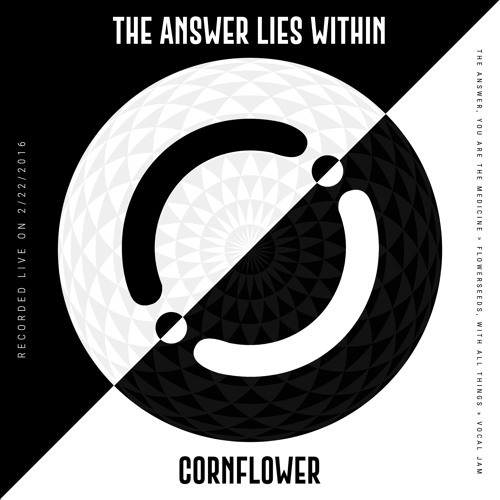 Setlist: The Answer [Improv], You Are The Medicine -> FlowerSeeds, With All Things -> Vocal Jam Subscribe, Stream & Download at https://cflow.co/TheAnswerLive Credits: Performed and recorded by Cornflower (© ℗ 2016 Cornflower, LLC. ).